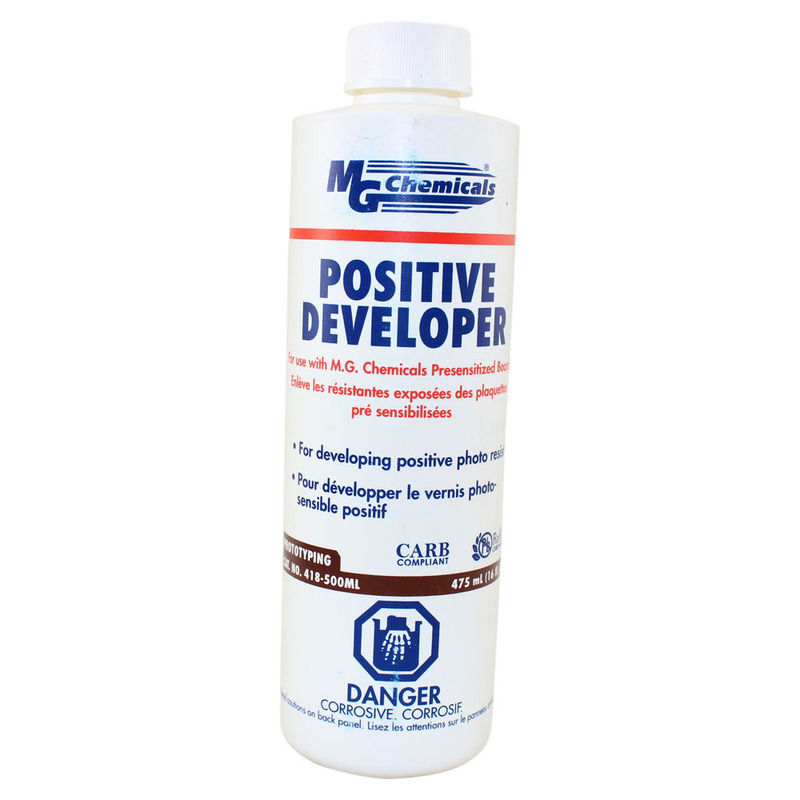 Circuit Specialists carries a number of low-priced photochemicals manufactured by industry leader MG Chemicals. 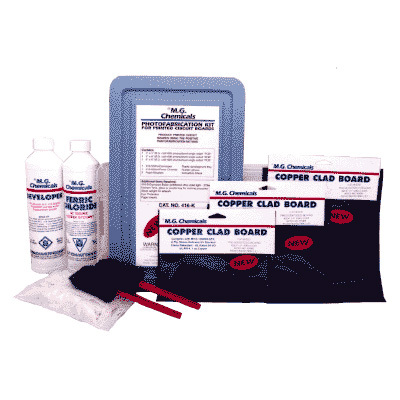 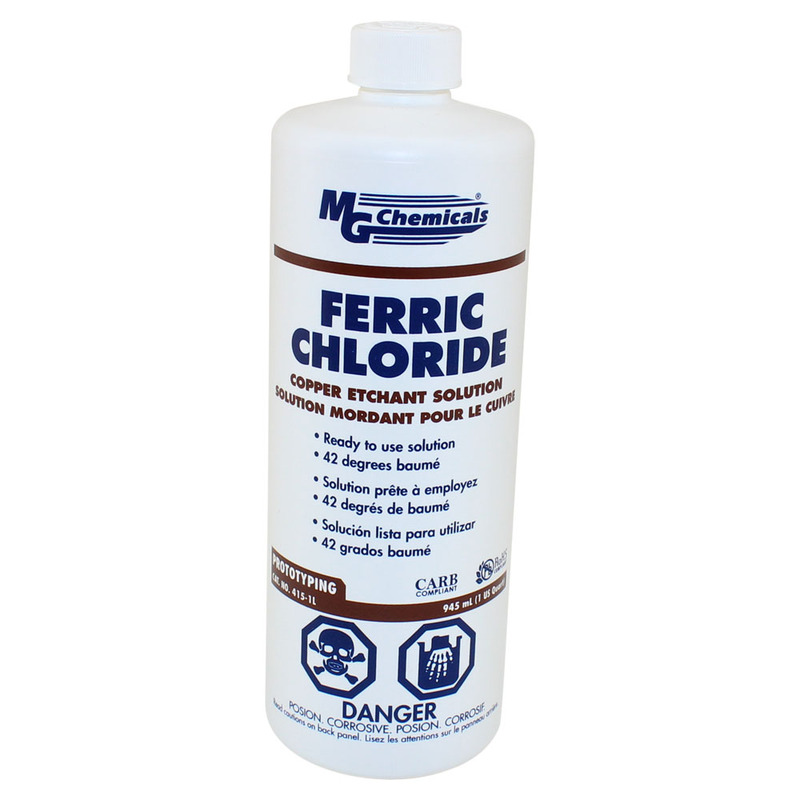 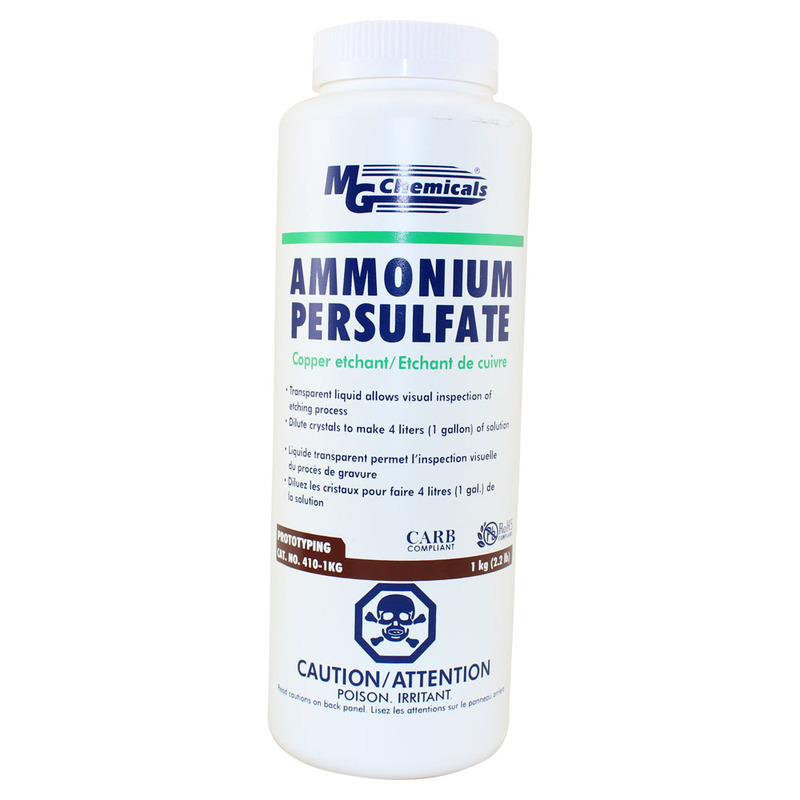 In addition to positive and negative developers for copper-clad boards, we stock ammonium persulfate, sodium persulfate, and ferric chloride copper etchants for your PCB projects. 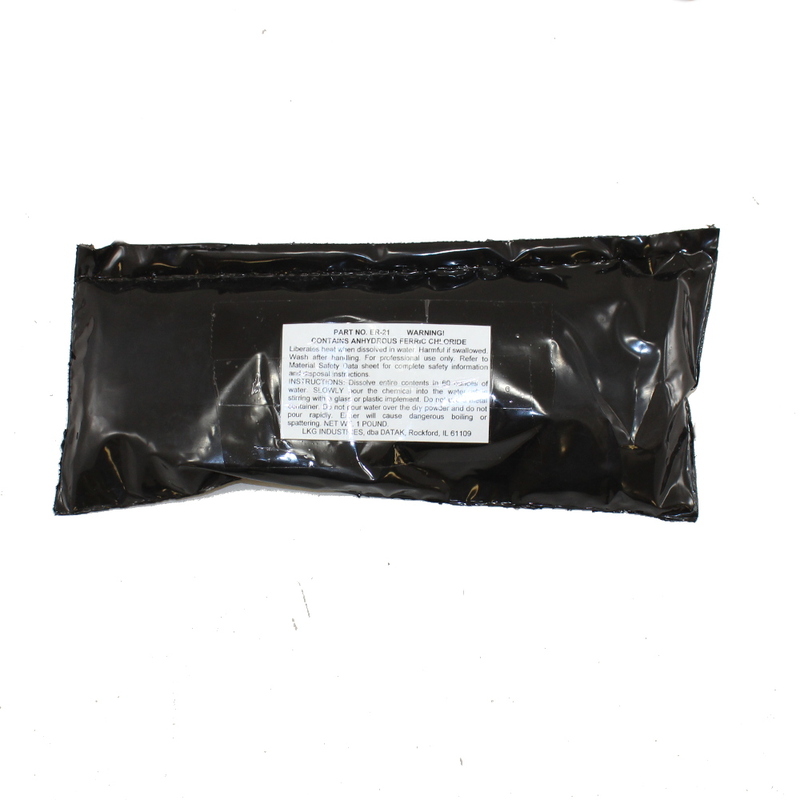 Have a look at our affordable photofabrication kit which includes three PCBs, developer and tray, ferric chloride, gloves, two foam brushes, and detailed instructions for those looking to learn how to produce PCBs with positive photofabrication.